You couldn't make this up. 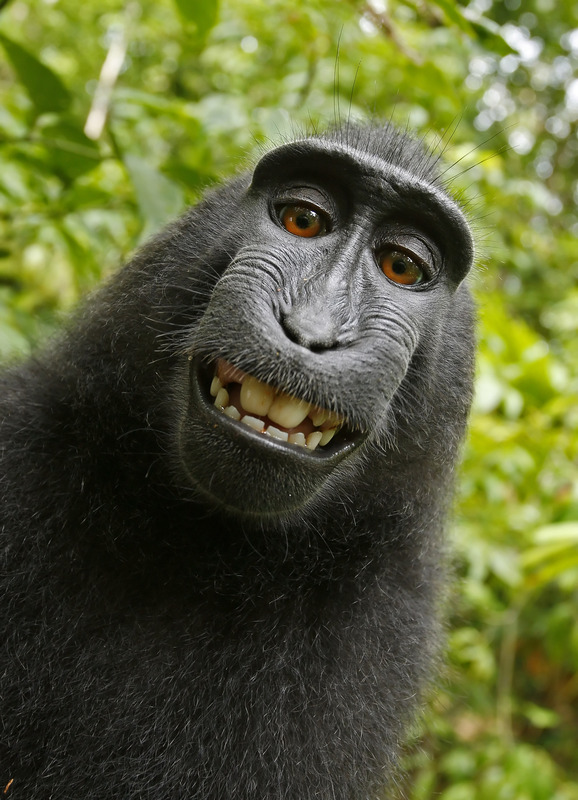 A monkey in Indonesia took a photographer's camera and snapped a selfie. PETA sues the photographer, but the photographer whose camera was used for the selfie says the copyright belongs to him. General legal consensus says neither the monkey nor the human photographer can claim the image as their own.